Quick-service restaurant serving chicken, ribs, burgers, and sandwiches. 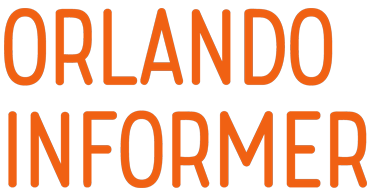 Thunder Falls Terrace is our favorite quick-service restaurant at Universal Orlando. The menu selections are a step up from the regular quick-service fare, the setting is relaxing and very well decorated, and you can catch killer views of the Jurassic Park River Adventure plunge from much of the indoor and outdoor seating (see the video below). Thunder Falls Terrace at Universal’s Islands of Adventure. 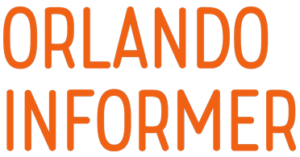 Guests can now place their orders at Thunder Falls Terrace on their smart phones, using the Universal Orlando app. You can read all about the ins and outs of the process in our write-up. Entrees are between $9 and $14. Sides, sides, sides! A surprise star! Many guests have mentioned the view and this is absolutely superb. Watching the splash zone is so much fun and a great way to relax during a hot summer day at the parks. Being a vegetarian however, in park food is extremely important to me. It is often times very difficult to find a variety of vegetarian options. It gets boring eat the same veggie burgers and greasy pizza all the time. Thunder Falls is a breath of fresh air. Their Cumin Scented Black Beans are to die for. Seriously the most delicious in park food I have tried for veggies! There are also other options such as rice, potatoes, and corn. A wonderful bonus-the chefs were kind enough to let us know when things that seemed vegetarian were cooked with meat broths or meat products! Can't wait to go back! 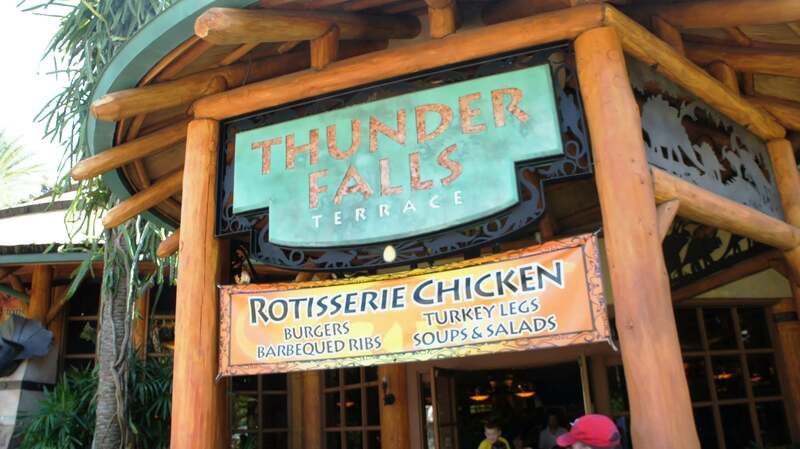 We love to eat at the Thunder Falls Terrace for several reasons. The food is hearty and reasonably priced. There are some good healthy choices for those of us who are trying to avoid too much greasy fried food. And most importantly...the Splash Zone! We like to sit outside on the patio and watch the boats land from the Jurassic Park River Adventure. My kids love to stand in the splash zone, where the huge wave of water will rush over them, completely drenching them. It is one of those small things that make a trip to Islands a memorable experience. As quick service restaurants at a theme park go, I have to say I can't complain. For my aching bones, I have to say the best thing about it was the cushioned chairs! At 50 years old, I have many more aches and pains since the last time I visited the parks (pre Harry Potter). We were there early so able to get a window seat to watch the the splash zone at Jurassic Park. My daughter and I were starving because we hadn't had much breakfast and "parking" makes you hungry! That being said, we should have split a rib platter because it would have been more than enough food. The roasted potatoes and corn were very good for theme park food and so were the ribs. I would have liked extra mango bbq sauce on the ribs but that was my only complaint. We were too full for dessert. It would be a great place to come back to just for the comfiest chairs in the park! 1. Food is great.Our favorite is the rotisserie chicken with herb baked potato wedges and corn on the cob. Scrumptious! Also, love the burgers (even better than burger digs). Want to try the ribs next. 2. Ample seating space and a beautiful, calm and relaxing interior. 3. Windows all around so you can see folks at the end of the River Ride or other areas of the Park. 4. Our biggest complaint is that both parks have too many good places to eat. The view of the Jurassic Park ride outside is fun to watch...Food is really good. Service quick....When we came in the place wasn't busy at all.....Ordering our food was fun as they have everything out to tempt you...Fruit Cup?....Why Yes! Cake? Yes, Please! Portions for adults are big and shareable. After we ate it was late afternoon, as we left we noticed that they were closing.....and the park wasn't even closing yet...Keep in mind if you want to eat in a certain place that you make note of the closing times posted outside the door and you get ther ein time...Like we did!